Cleaning fanatic Sophie Hinchliffe (aks Mrs Hinch) has one of the most influential home interior Instagram accounts in the UK, with 1.7 million followers as of today. In our opinion, Mrs Hinch uses Instagram perfectly and it has paid off in the growing popularity of her account and personal brand. If we were training someone in how to use Instagram to portray their brand and get their personality across, this is exactly what we’d advise they do! 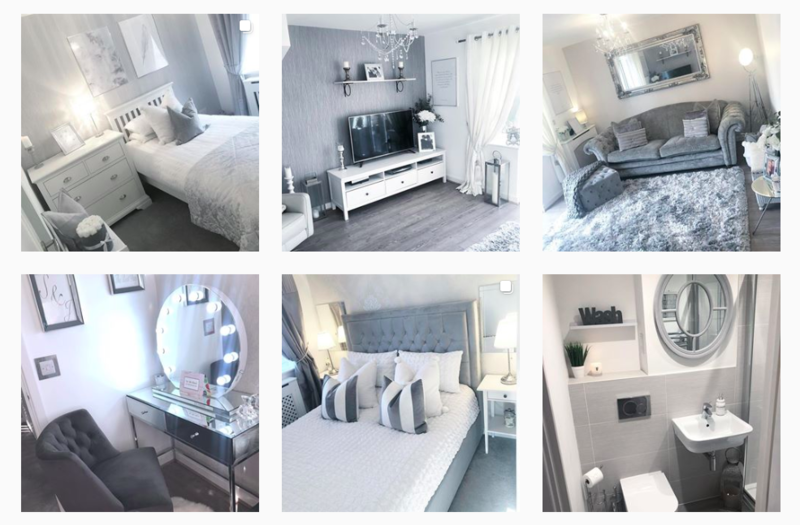 Mrs Hinch uses her Instagram feed for polished, perfectly framed and aspirational pictures of her home, family and dog, which she is clearly proud of. She uses her stories for behind-the-scenes glimpses into the life of a lady cleaning her home, complete with nostalgic backing tracks, funny commentary and cute names for cleaning tools. The concept is something simple being done in a different and novel way. Mrs Hinch is a normal (albeit a bit mad) person who has brought the fun into something many consider mundane. She’s unashamedly in love with cleaning and it’s really nice to see someone with such a passion for something so everyday. Remember Monica from Friends and her obsession with organisation and cleaning? Friends fans aren’t ashamed to admit they’re like Monica in that sense. Here, Mrs Hinch becomes a similar role model. It okays being a clean freak, because someone else is too! Cameras being invited into someone’s home isn’t anything new – think of MTV’s Cribs back in the early 2000s. Using Instagram allows real people to play too, and it’s more accessible for others to follow and imitate. Mrs Hinch’s feed is still curated and edited. It’s her stories where the magic really lies and this is where she gets across the authenticity and silliness. Her followers are, therefore, entertained and educated. Her content isn’t just saying “look at me and my amazing home, dog and family” it’s saying “here’s me having fun not caring what anyone thinks, and here’s how you can use my tips too”. Maybe in a carefully curated world of Instabragging we’ve forgotten how to be ourselves. The architecture of Instagram sets this type of account up well. Stories don’t need to be thought through because they disappear in 24 hours and use a portrait-oriented camera. This means they can be ad hoc and candid. It’s the perfect place to deliver short cleaning tips rather than, say, in tweets or via YouTube videos. Tweets require describing, YouTube videos require editing and uploading, both of which overcomplicate the point. When we read magazines now, there’s a general acceptance that all images of people are airbrushed and edited. They’ve almost stopped being real. Instagram posts are going the same way – they become so edited they lose their authenticity and look fake. Mrs Hinch’s posts glamourise the normal, but not so far that it’s not accessible, so they strike a nice balance with followers. Find Sophie Hinchliffe, aka Mrs Hinch, on Instagram here and find our Instagram training courses here.